Amanda Poole moved her two children to Nampa last November, starting a new life in her first time living away from her hometown of Tacoma. During Idaho’s school spring break, her son and daughter returned to the Tacoma area to spend time with their father. Poole used the break to get acquainted with a new friend, and on Saturday afternoon, March 30, the two headed west toward Malheur County’s Snively Hot Springs. They stopped to admire the sunset from a high bluff south of Adrian and embraced – and then the man turned to go back to his car. He heard a gasp, turned and saw Poole fall out of sight over the cliff. The 60-foot fall was fatal. Malheur County Sheriff Brian Wolfe said Poole apparently lost her footing and slipped. Another couple nearby witnessed the accident, he said, so there was no suspicion that her date, whose identity has not been released, had anything to do with Poole’s death. The fall made quick headlines but her name soon faded from newspapers and news broadcasts. That left relatives wanting people to know she was more than a name on a press release. An aunt, Janna Eastland of Nampa, said Poole grew up in Tacoma. She said Poole’s grandmother died a year ago and then her mother died in Tacoma last November. 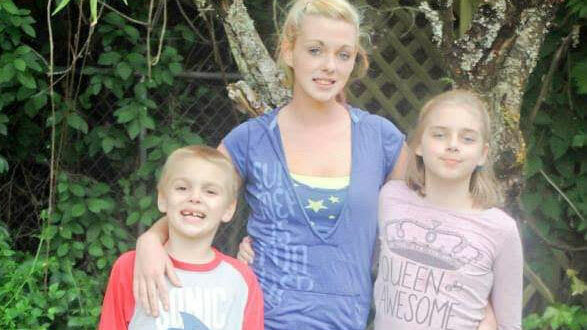 “Amanda was having issues with friends, boyfriends, and family,” Eastland said. But things were looking better after Poole, 30, visited her aunt in Nampa and decided to move there last November. She settled into a house Eastland and her husband owned, bringing her daughter Arianna, 14, and son Matthias, 12. “The kids were doing spectacularly in school,” Eastland said. Poole had gone to work for a local fencing company recently. Poole was particularly excited that she found a new school for Arianna, who is deaf. The change was planned for right after the spring break. Two weeks before the accident, she began dating a man from Boise. She would have celebrated her birthday on May 3, Lappen said. The family is planning a private service to celebrate her life at a later date.